Illustrated Map of Stamford signed print. 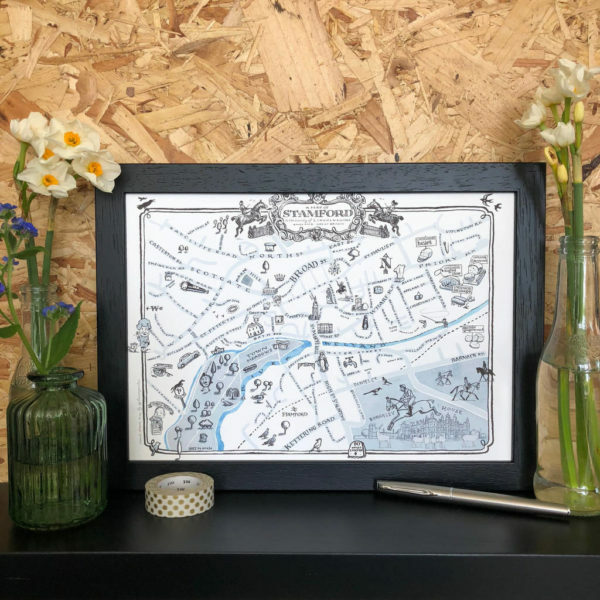 This hand-drawn map of beautiful Stamford would make a beautiful gift for fans of Stamford. Illustrated Map of Stamford signed print. Someone you know loves Stamfordd? Give them one of these as a remender, it’s useful too. Full of fun and quirky details. Also includes beautiful Burghley House, home of the world famous horse trials.